Plumeria expert, Mike Atkinson, shares his knowledge on growing and propagating the many varieties of plumerias that thrive in our Mediterranean climate. Plumerias LOVE San Diego! Often thought to be native to Hawaii, plumerias are actually native to southern Mexico, Central America and South America. Their low-maintenance, low-water, and amazing blooms and fragrances make them the ideal complement to our Southern California gardens. 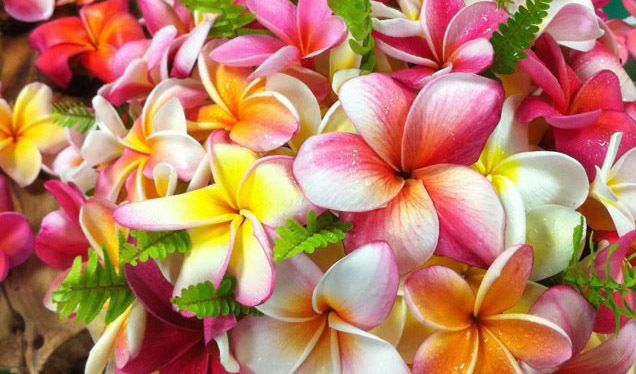 Mike will show the various types of plumerias, explain their fertilization needs, which plants make good companions in the garden, and advice on their general care and selection. Mike Atkinson, and his wife Stacy, have been growing plumerias for over 17 years in La Mesa. He is the webmaster for the Southern California Plumeria Society, administrator for the Plumeria Addicts Facebook group, and regularly speaks about plumerias around southern California. The Southern California Plumeria Society will have cuttings, and an excellent plumeria reference book, for sale at the meeting. All proceeds will go to the Society’s scholarship fund that supports horticulture students locally and in Hawaii.